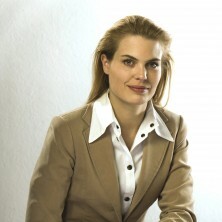 Stephanie Fortmann, Graduate Designer, born 1973, in Essen. Studied at the Technical College of Düsseldorf, Faculty of Design. Wrote her degree thesis on the „Concept and Design of Image Promotion and Means of Personality Change“. Has been a freelancer since 2000 in the „Fortmann + Freunde“ network. Focus on commissioned projects for SMEs, commercial enterprises, law firms and industrial groups. Why, for what reason, how come? How do I get others see me as the person I would like to be? Image – Working on oneself. This presentation answers all of these questions.